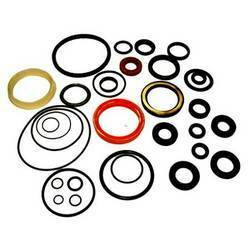 Our range of products include rubber o rings. Rubber O Rings that we offer is one of our key products. We have expert professional who produce these O Rings with no rejections and also special attachments to give these Rubber O Rings a proper finish. Our range is manufactured using quality raw materials such as natural rubber, silicon rubber and polyurethane rubber.